Today’s knowledge workers, students and faculty members, and library patrons all want quick, around-the-clock access to information resources in various formats. However, navigating the ever-changing world of electronic resource access and management can often be challenging. From managing site licenses and access rights to simply finding the appropriate E-Resources, keeping track of your collection can end up being time-consuming and ultimately costly for your organization. Our dedicated, local experts make it their business stay ahead of the curve when it comes to all things related to E-Resources and are on hand to assist you. Using, selecting, acquiring and managing your E-Resources is made easy with LM Information Delivery. 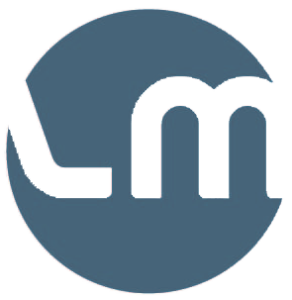 Libnet® is LM Information Delivery’s state of the art, cloud-based tool designed to manage the complete life cycle of your electronic and printed journal subscriptions. With Libnet it is easy to place orders, make claims and search for journal titles online from one single platform. Using Libnet, you can carry out all the necessary tasks to easily and efficiently manage your subscriptions in just a few clicks. LM provided the VUT Library with excellent support in supplying our printed & online journal subscriptions. Their work is a major factor when it comes to client satisfaction and it assists the Library in becoming a very important source for research and education. In short their support and service is fast, efficient and professional. Through LM Information Delivery our library has procured a subscription management service whose printed and electronic journals can be ordered for the library through one service provider. This way, time previously used to contact publishers is saved, the filing of complaints is made easier and centralised invoices arrive at agreed intervals. When you work with the same people for several years, cooperation is effortless. As clients of LM Information Delivery for the past two years, Agricultural Research Council has received exceptionally professional and efficient service. We are always made to feel as if we are their only client.